As a child, finding a freshly-trod badger footprint on the way to school was a thrilling, almost heart-stopping moment. It was like a bear footprint – delicately pressed into the soft brown soil, the pads and huge claws, beautifully outlined. I now realise what a privilege it was to see such a thing at all. Until that point, my interest in the natural world had been largely focused on butterflies and other insects and their habitats. That great ‘bear’ footprint opened my eyes to a whole new world. My early, clumsy efforts to photograph badgers were a character-forming challenge. Through badgers I learned so much about photography – and the natural world. Everything had to be recognised and understood from the badger’s point of view: scent, sound, habitat, food preferences and fear of humans – the daily cycles of behaviour. The moment when I first saw a badger nose coming out of the sett was electric. My heart raced, I couldn’t breath – I couldn’t even blink. It took me many more weeks to get an actual image. I tried everything: flash, infrared flash, time exposure, early mornings. Although I managed to sell a couple of the images, they were by no means extraordinary. But what I learned from that long-suffering family of badgers was far more important and is with me still. I’m very grateful there was a beautiful place with a badger sett where I could discover my inner naturalist and hone my photographic skills. My interest in photography was pushing me towards a full-time career. But wildlife photography wasn’t much of an option in those days for a teenager in need of a life-plan. So I enrolled at Farnham College of Art to study documentary photography. By the end of my 2nd year, I had to make a huge U- turn. My tutors were aghast. They couldn’t imagine anything more pointless than photographing nature, and anyway they had no idea how to help me. My third year show was a success for me, but they still marked me down. I was very much on my own but sure I had done the right thing. Over thirty years on, times have changed and wildlife photography is a distinguished field, but the recent drive to cull badgers makes me wonder whether attitudes to wildlife have changed at all. Over the years, I’d read the occasional account of the bovine TB situation and assumed that successive governments had been working hard towards its eradication and were on top of it. But last year I learned that the government has approved the killing of up to 100,000 mostly healthy badgers over four or five years, because, according to earlier studies, it might reduce TB incidence in cattle by 12-16% under very specific conditions that it seems are very unlikely to be met under the Government’s planned pilot culls. To me, this is extremely scary. I really don’t want my tax to fund environmental destruction on this scale, especially with what appears to be so little understanding of the consequences and so little ambition for the quality of the outcome. The sad reality is that the main stated reason for culling over vaccination (which has good scientific credentials as part of an alternative solution) appears to be one of initial cost. The trouble with the cull, apart from having such unpredictable results, is that I have yet to read any study that even mentions the impact of the removal of 100,000 badgers on other animals and habitats, let alone a study that makes any effort to evaluate that loss. Ecosystems are complicated things and we muck about with them at our peril. We all need a healthy countryside, and yes of course, one way or the other we will have to pay for it. Since I began my career, Britain has become increasingly like a wildlife desert. Intensive farming and insecticide have wiped out a significant proportion of our insects and large swathes of habitat for other wildlife. I want this wildlife recession to stop. While badger numbers have risen in the last 30 years due to legal protection from persecution, hedgehog numbers appear to have crashed – down an estimated 97% in the last 50 years (http://www.britishhedgehogs.org.uk/leaflets/sobh.pdf) – that’s not a misprint – and no, it’s not thought to be due to higher badger numbers. Yes, otters and peregrine falcons are now spreading, but the magnificent silver washed fritillary butterfly and the very cute water vole are extinct in many, if not most, of their former haunts. As a consumer, I’d like to think there is a point where we value the countryside more than cheap milk. As a naturalist, I associate mass interventions on this scale with unravelling environmental disasters. I don’t believe anybody has the faintest idea what the final outcome of this bloodbath will be. Nature has paid dearly for our success. Is it not time for us to stop treating this overpopulated island as a food factory, and start managing it as somewhere we would like our children and grandchildren to grow up? Somewhere they too can discover their inner naturalist? I don’t see why the badgers should have to pay for this mess, created by our desire for cheap milk. It was the cattle that gave TB to badgers in the first place. Decades of dithering and disagreement over the science allowed the problem to grow while the authorities looked away from the unpalatable truth: bovine TB, which was always going to be tricky and expensive to control, had got out of hand. As we move further into the 21st century, surely, it’s time we discarded the Victorian view of the natural world as a place to be exploited for profit, and begin to treat it with the respect it deserves: as a life support system for our own and other species, where wildlife can survive alongside us, not despite us. For me, killing 100,000 badgers is not an option. We need to find another way. After 6 years as a photographer in London, Martin Dohrn joined the BBC Natural History Unit on a training bursary. 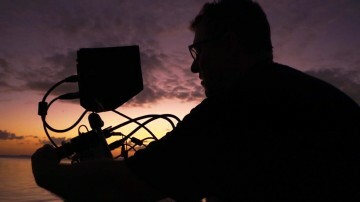 Twenty-eight years later, Martin has made films in mountains, deserts, cities, oceans, of large and small creatures, for BBC, Discovery, National Geographic. Martin has specialised in finding new ways to record the natural world, in particular finding ways to film at night. 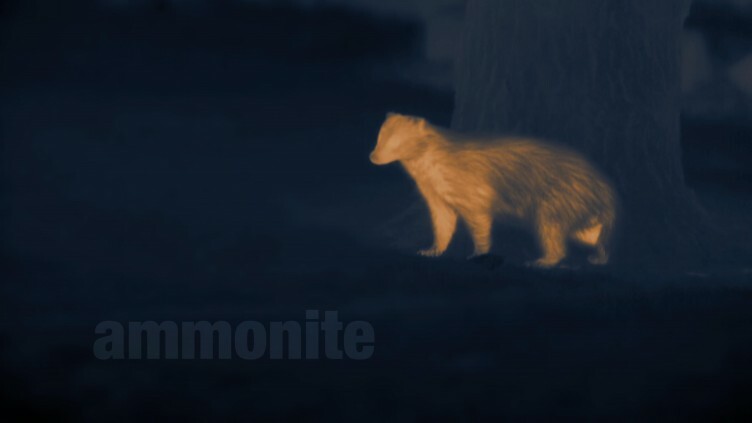 For 20 years, his company Ammonite has been developing lowlight technology for filming nocturnal life in the wild without disturbing natural behaviour. Also see Ammonite’s delightful Badgers at Night. Badger culling – science-based policy, or policy-based science?